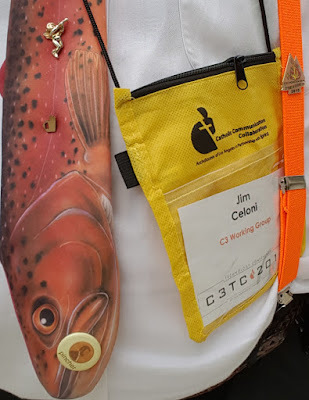 Orange suspenders, C3 Tech Conference T-shirt: The conference starts today, with its Clergy Connect/Sisters Connect track! The youth are our future, and we must dialogue. The relationship between youth and grandparents is important. Youth say stupid and good things, as we do, but hear and speak with them so we learn from each other. [Re remarks on Armenian genocide:] Harm to Catholics must always be avoided, but not at the price of the truth! [Re Cardinal Pell:] The accusations are in the hands of justice. Let's not judge before they do. [Re "Islamic violence":] I don’t like to speak about it, because baptized Catholics commit violent acts too. Every religion has a small group of fundamentalists. Fundamentalism can kill with words, and with a knife. Most Muslims seek peace, encounter. We can coexist well. But how many young people that we've left empty of ideals and work take drugs or join fundamentalist groups? Terrorism is everywhere; it grows when the center of the economy is money, not people. Casting out the wonder of creation and putting money in its place is basic terrorism against all humanity! 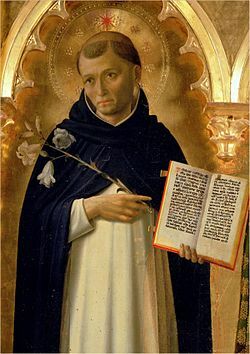 Creighton: St. Dominic lived as a contemplative in action, recognizing that conversion of others required action and being a role model. He lived in austerity with the people and showed great devotion to Mary, promoting the Rosary. We're part of the kingdom of God, and the king protects his subjects and wants them to thrive. One Bread, One Body: "Tell a vision": In Ezekiel's vision, God called him to prophesy to the hardened Israelites. The people were about to suffer exile like King Jehoiachin. 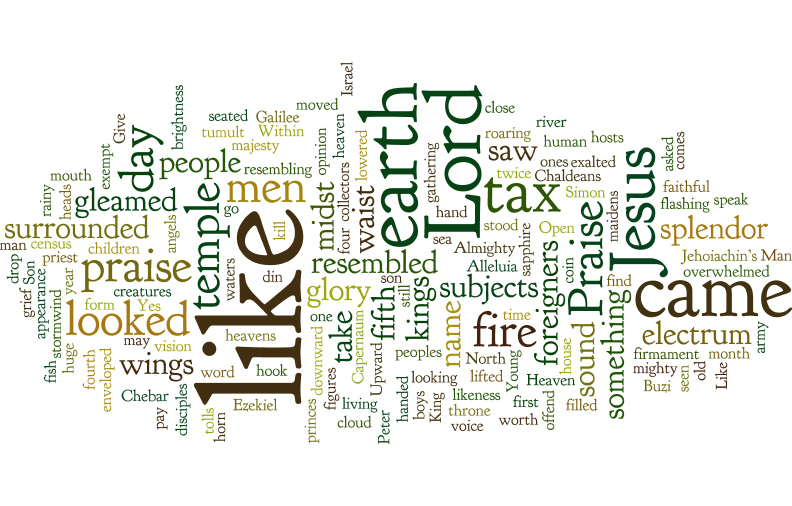 The Lord sends Ezekiel to prophesy to "rebels hard of face and obstinate..." who "refuse to listen." God tells Ezekiel to not be afraid and to speak his words; Ezekiel was "spiritually stirred, while the hand of the Lord rested" on him. God is also calling you to be prophets to the hardened. Don't fear; God will make you strong. Accept your calling, and speak God's words. Passionist: Jesus insists he’s exempt from the Temple tax. 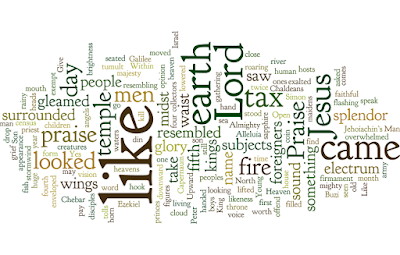 The NAB clouds his explanation by translating the Greek for 'sons' as 'subjects' and 'others' as 'foreigners': kings don't tax family, so the Son of God is exempt, but he pays the tax anyway. The fish symbolizes God’s provision. As he treated Peter as his son and paid his tax, so did he treat us as children and pay our 'tax' with his life. At our baptism, we sinners became the king's children and heirs.